Our best-selling Stow File Cabinet now comes in a mini size. Ideal for both storage and spare seating, the powder-coated steel construction can handle all your needs. The included pad and locking casters make it a snap to sit, stow, and go! The Mini Stow File Cabinet ships in 1 box with a total weight of 61 lbs. 1 File Cabinet, Casters and Seat Pad Box: 24"L x 20.5"D x 24.6"H, 61 lbs. Wipe the cabinet clean with soap, water and a soft cloth. Spot-clean the seat pad using an upholstery cleaning product suitable for polyester fabrics. 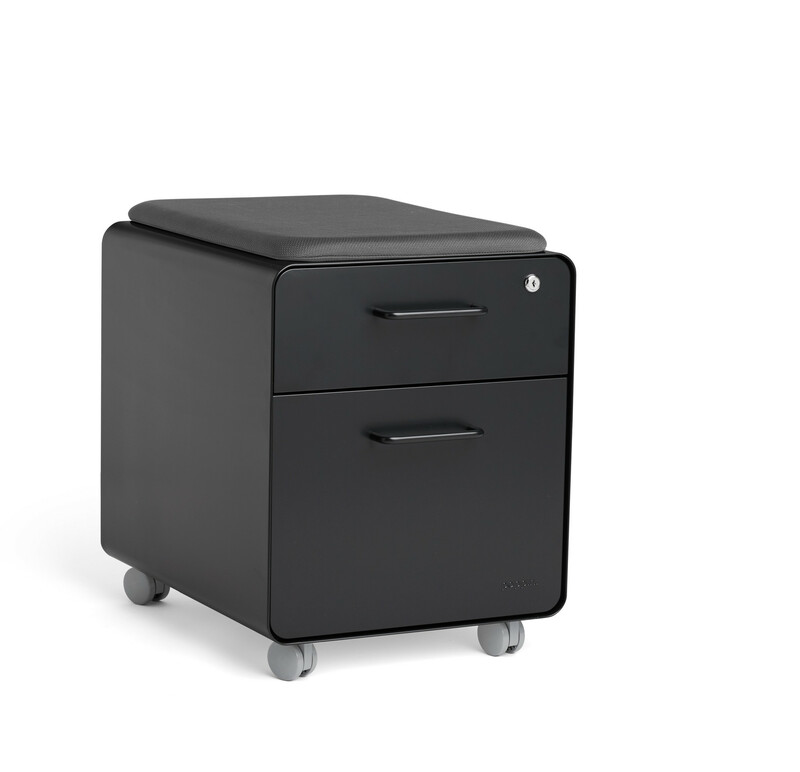 Sittable Stow File Cabinet with durable powder-coated steel construction; Seat supports up to 225 lbs.